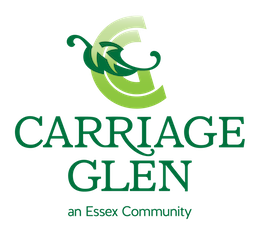 Welcome to Carriage Glen! Nestled among mature trees and natural surroundings, our excellent location is close to shopping, dining, medical facilities, and area activities — yet comfortably removed from hustle and bustle. Envision time to develop new interests or pursue familiar ones through a community that promotes physical and mental well-being and the active, independent lifestyle you’ve earned. We have a variety of activities ranging from games to fitness classes. Many residents find that participating in these activities helps them feel young and lively. Others find the social interaction relaxing and enjoyable. Call us at (402) 484-5113 for an appointment to tour our beautiful community.